Hatem is recovering well after his surgery! Some boys run track. Hatem ran for his life. Some worry about failing a test. Hatem worried about his failing heart. Some can’t wait to leave school. Hatem lives in a school. This 13 year-old’s life has been far from normal. 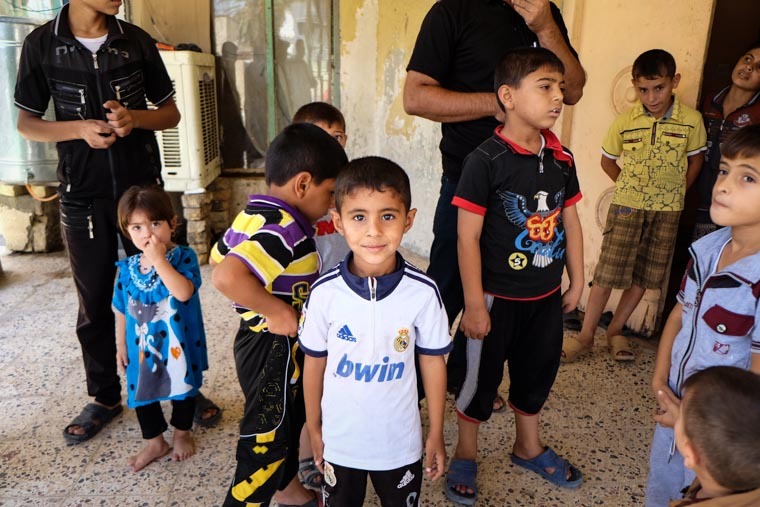 After resisting and then fleeing ISIS militants, Hatem and his family fled to Baghdad. They’ve overcoming incredible hardship, and much of the good news is thanks to your help. 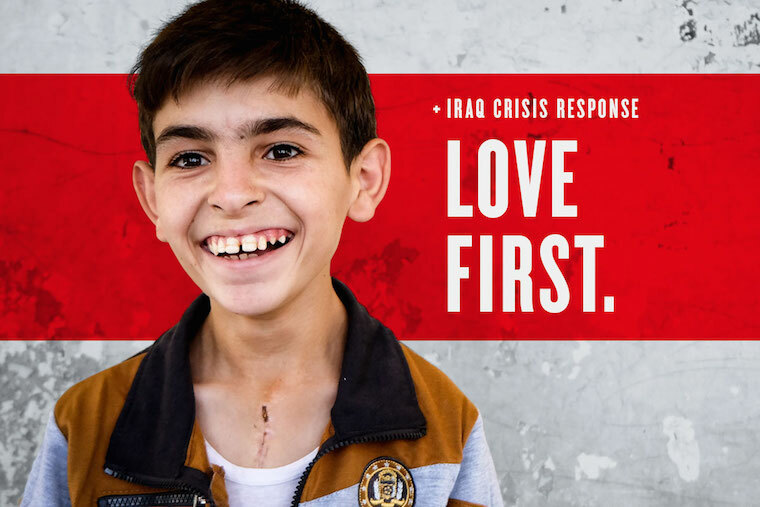 In addition to a lifesaving heart surgery (click and scroll for more about his surgery here), you’re helping us provide his family with food, shelter, and winter supplies. When we visited Hatem and his family at the school where they’re now living, they were overjoyed to see us! In a region famous for its hospitality, these families were even kinder and more welcoming than usual as they ushered us in for tea. After sitting down and saying the appropriate greetings, I asked them why they were so excited. As we talked, we shared about you and the thousands around the world who contributed to Hatem’s story. Being from the small Turkmen minority, the family was excited to hear that others are aware of them and their son. As we sipped our tea, we handed out photo prints of Hatem in the hospital, took silly selfies, and discussed followup care for Hatem. Thanks to your years of support, we were ready to serve Hatem right away, inside his own country. Will you help us continue saving lives here? Many more children are waiting!